In the spring, the Stanford Hills are carpeted with wildflowers and dotted with grazing cattle. Right now the grass is starting to change from green to brown, a sign that summer is coming. 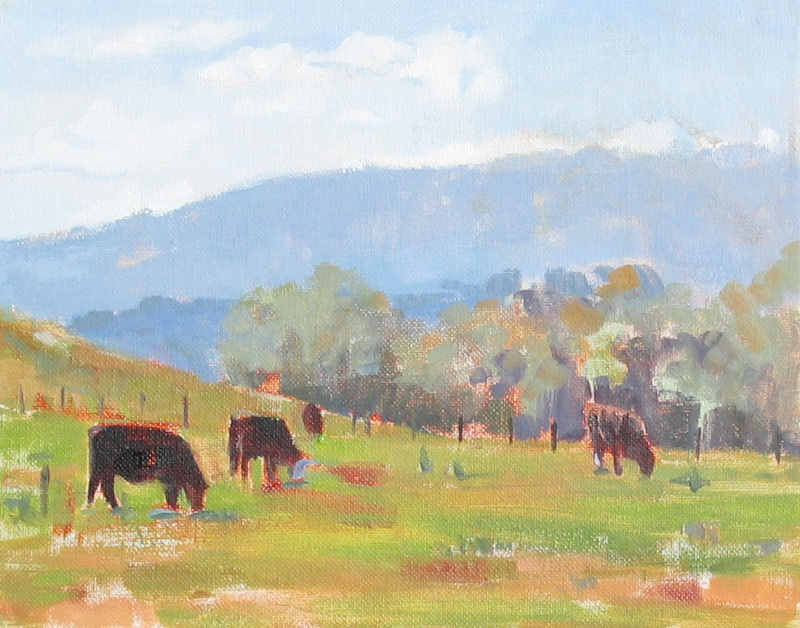 The painting above shows the morning light on the Stanford Hills with cattle grazing in the foreground. Cattle grazing in the area known as Jasper Ridge began soon after the Spanish established Mission Dolores in 1776 and Mission Santa Clara in 1777. Jasper Ridge is a low ridge in the eastern foothills of the Santa Cruz Mountains at the base of the San Francisco Peninsula. Jasper Ridge Biological Preserve covers 1,189 acres just 4 miles west of the main Stanford University campus and is owned by Stanford University. 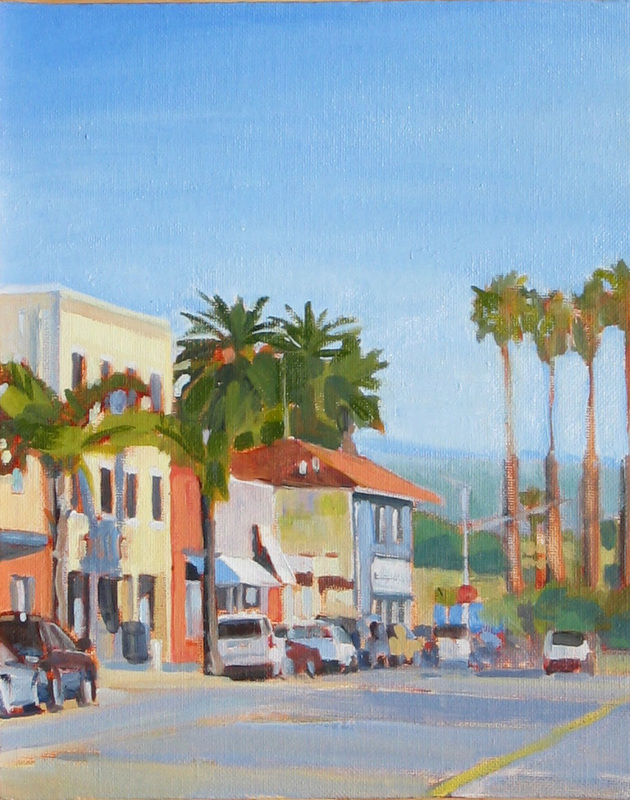 Next week, it's back to the City to paint. As you're walking along Beach Street in Santa Cruz, to the right is the Santa Cruz Beach Boardwalk, the Wharf and the Pacific Ocean. On the left is the street scene above. Beach Street is lined with surf shops, bikini shops, restaurants and all things related to surfing. 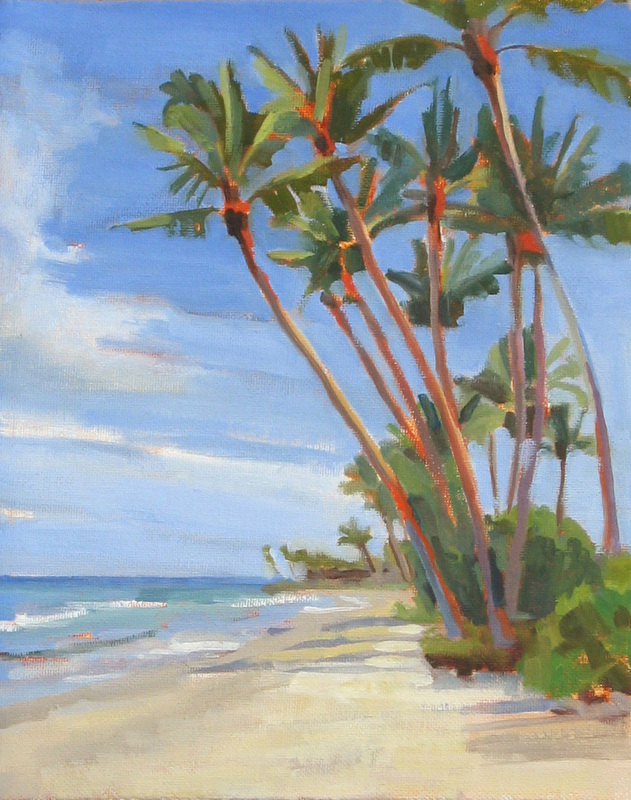 This painting shows the beach along the Hono'apiilani Highway on the way to Lahaina. I believe it's Puamana Park in West Maui, a long undeveloped sandy beach. We recently spent a week in Maui and we surfed at another beach south of Lahaina every morning. I took a photo of this view on the way home from our surf spot. Each California poppy is a solitary flower on a long stem, with four petals and colors ranging from yellow to orange. The foliage is blue-green in color, described botanically as glaucus, meaning "bluish-grey or green". The petals close at night or in cold, windy weather and open again the following morning. The poppies begin flowering in February. The California poppy is the official state flower of California and native to the United States. 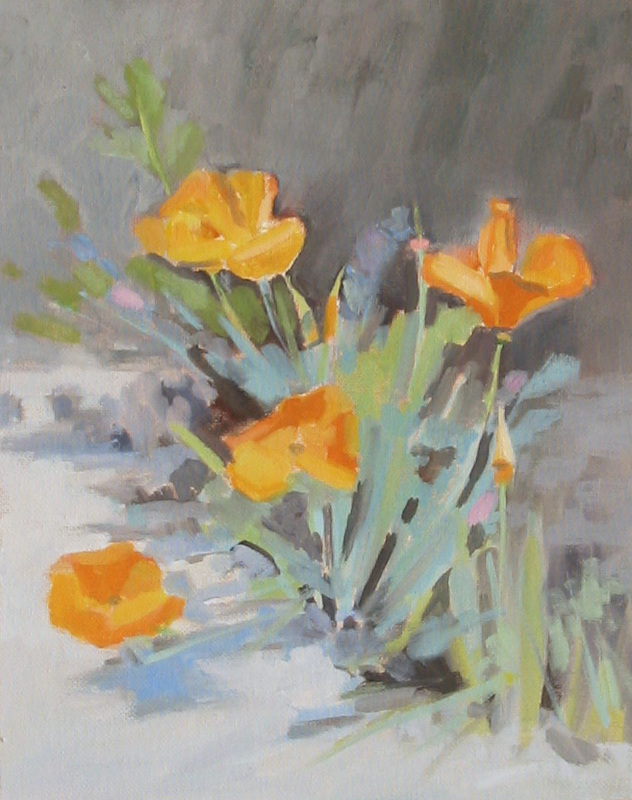 As I was working on my most recent painting, California Poppies, I was searching for a slightly warmer gray than my usual choice. 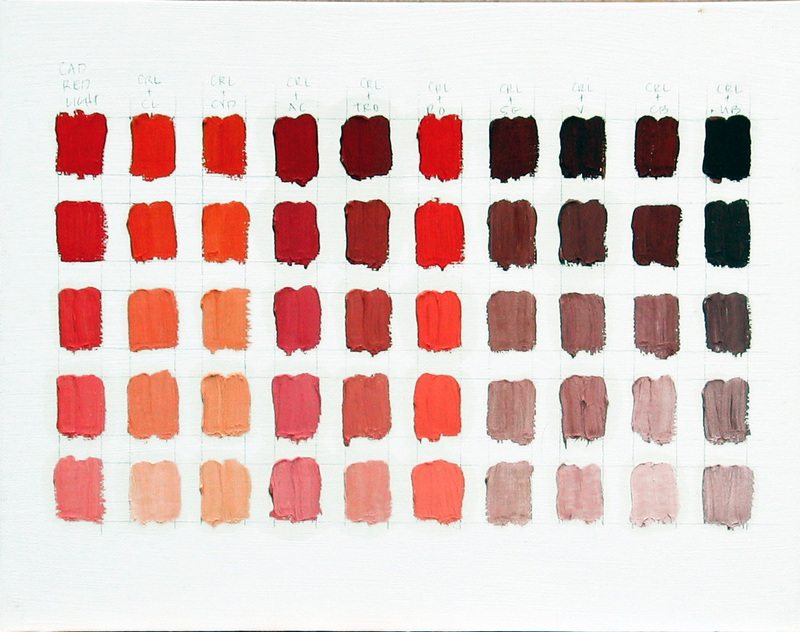 When I want a black color, I use a mixture of Alizarin Crimson, Ultramarine Blue and Transparent Red Oxide. 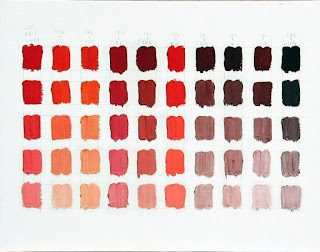 But I wanted something that was a little warmer, so I referred to my color charts. I found that mixing Cadmium Red Light and Viridian makes a soft, warm gray/black. 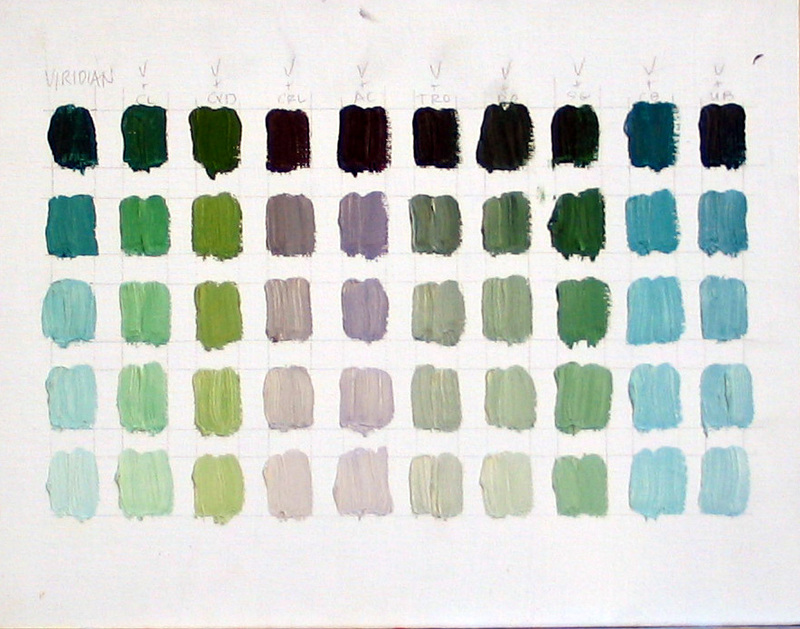 Just what I was looking for, but I would not have found the combination without my color charts. 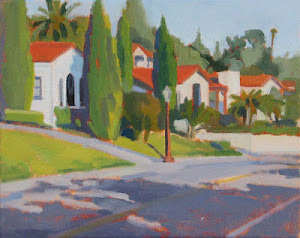 Alla Prima, by Richard Schmid is the inspiration for my color charts. 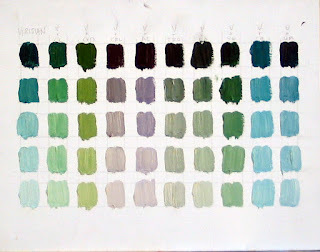 The book has examples of color charts, plus a ton of information about oil painting, alla prima (one session painting). It is very helpful for artists who paint in the field or in their studios. Richard discusses many subjects, such as how to "Squint and Simplify, Comparison and Conservation of Values, What You See and What You Know" to name a few. I have a link for the book on the right under "Book Recommendations." Check it out.